Earlier this week, action videography company GoPro tried to revive its somewhat eroded glory by launching the new GoPro Hero 7 Series. India gets to among the earliest markets to get the new GoPro Hero cameras, which includes the Hero 7 in Black, Silver, and White variants. The difference between these three models is more than just of color. GoPro Hero 7 Black is the most powerful of the trio with the same flagship GP1 chipset that also powers the GoPro hero 6 series. It comes with the HyperSmooth stabilization feature to offer stabilization on par with a Gimbal setup. You also get features like live video streaming, voice control, and a waterproof design. The Hero 7 Black is equipped with a 12MP sensor for still photography while it can also record 4K videos at up to 60fps. Additionally, there’s Full HD slo-mo video at 240fps. The action camera is equipped with a GPS and is waterproof up to 10 meters (33 feet). In India, the GoPro Hero 7 will be available starting September 27 but you can currently pre-order it via Amazon. Choosing to do so will be a good idea because Amazon is offering a discount of Rs 3,000 in form of cashbacks and giving GoPro Shorty tripod worth Rs 3,900 free with the camera. 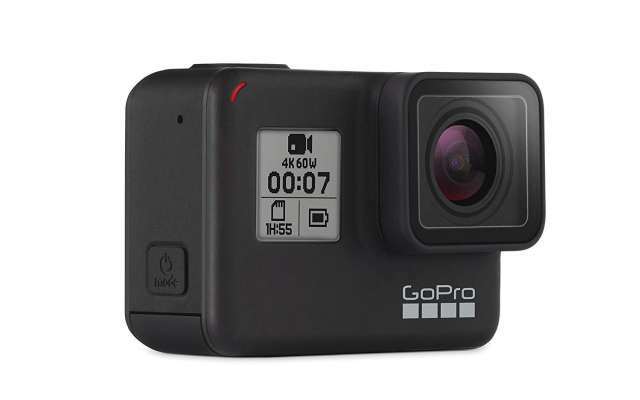 After the total benefit of Rs 6,900, the GoPro Hero 7 Black will effectively cost you Rs 30,100. Let me break down, the offers for you. There’s an instant discount of Rs 1,500 when you avail EMI using ICICI Bank credit or debit cards but it’s not inclusive of the interest you might have to pay. There’s no interest to be paid on 3-month and 6-month EMIs. You get Rs 1,500 as cashback in Amazon Pay if you order by 11:59PM of September 26. You can also get a cashback of Rs 50 using BHIM or RuPay card while using any other credit or debit card will get you a discount of Rs 100 discount, but these offers are not valid on EMI transaction.